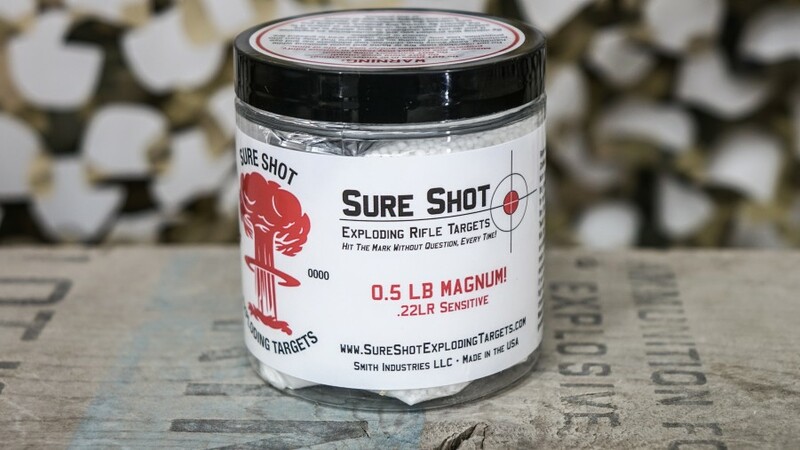 Sure Shot Targets are now available for personal use by the general public! Inside every target are a double sealed amount of pre-weighed catalyst, instructions insert and a sealed bag of base chemical. The bag doubles as a mixing container to expedite preparation. You can have a target ready to shoot in 60 seconds or less! 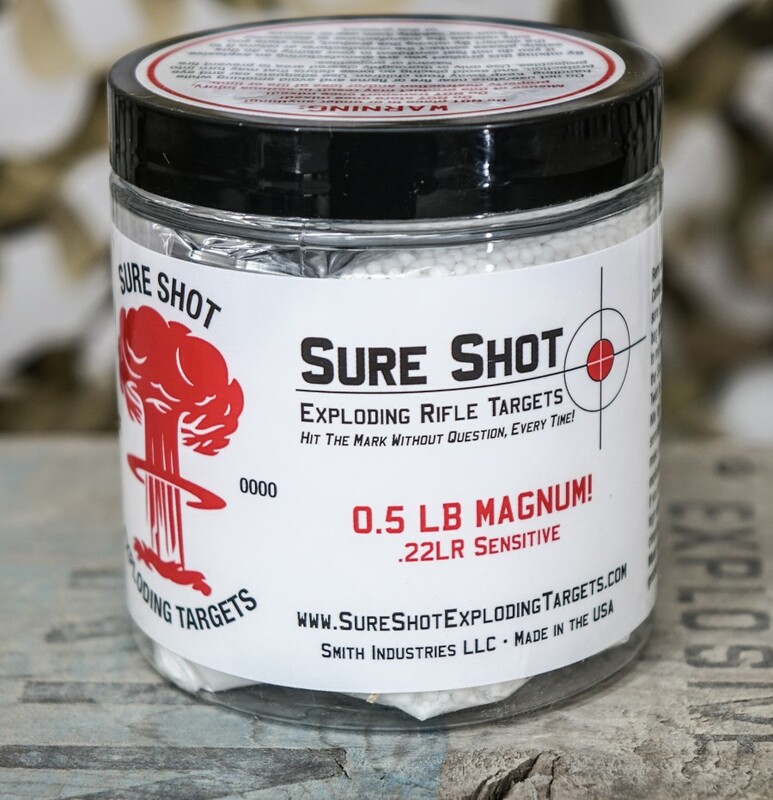 To detonate a set-up target, shoot it with .22 Long Rifle. The rimfire formula differs from the centerfire formula in that it is sensitive to flame, but only when mixed. The rimfire, or Magnum formula, is considerably louder than most other centerfire binary targets! Enter up to 3 times! Use your email address, Share on Facebook or Share on Twitter. Be sure to provide your email address when sharing, so we know how to reach you!